Ministry of Housing and Urban Affairs, the Finance has given approval for construction of phase IV in three corridors. New Delhi: Under the fourth phase of Delhi Metro, the proposal which has been given the theoretical approval by the Finance Ministry, will make three corridors. Their total length will be 60 km. These three corridors will be like one at Yamuna Pahar, the other in West Delhi and the third in South Delhi. The total construction cost of these three projects will be Rs 34 thousand 580 crores. According to sources in the Ministry of Housing and Urban Affairs, the Finance Ministry gives its approval only after analyzing the funding pattern of the total project cost. It is done only after this approval that the note is prepared for the opinion of all the parties and ministries and it is then approved by the Public Investment Board. By law, the third phase of the Delhi Metro should have been completed in 2016 and the construction of the fourth phase from 2017 had to start but neither the phase three was completed and nor the Fourth phase was approved. Although the first Delhi Metro had proposed six corridors of 103 km for the fourth phase, meanwhile the new policy was implemented last year on the Metro. After the coming of this policy, the Delhi project has been prepared with fresh renewal report. Three Corridors have been given priority in this report. The first corridor in this area is to connect the area of South Delhi’s Tughlaqabad with aerosity. This corridor will be 20 km and through this corridor, several areas of South Delhi will be connected to the airport. Similarly, the second corridor will be from East Delhi. This corridor will start from Maujpur and connect with Mukundpur in northern Delhi. The 12-km corridor will have a way to get the metro ring ready. It is now operational from Mukundpur to South Campus, while the South Campus is being constructed from Shivpuri to Shiva Vihar. 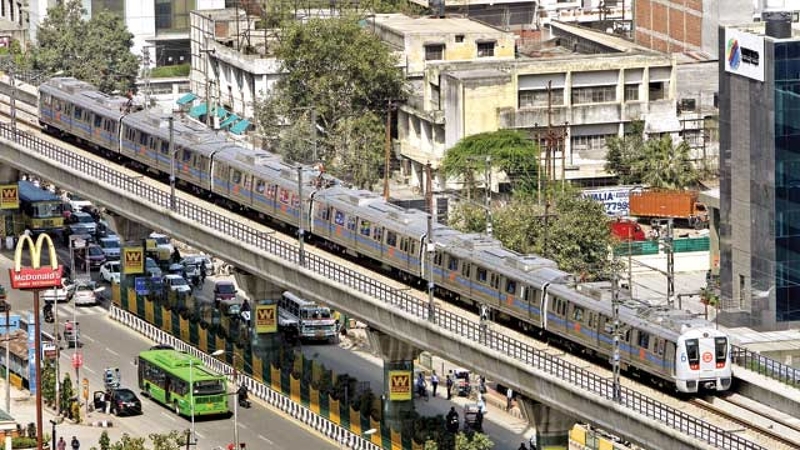 In this way, the line between Maujapur and Mukundpur will also be directly connected to the metro of the population near the Wazirabad road in the north-eastern Delhi of Yamunapar. The third corridor will be built between Janakpuri West and RK Ashram Marg. Recently, the corridor has been started between Noida and Janakpuri West. After its construction from Janakpuri West, a large area of Outer Ring Road will be connected to the Metro network. This metro line, R.K. Asharam is being started from Outer Ring Road and will be till ashram. This line will be 28 km and the longest line of the fourth phase.